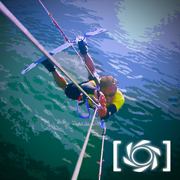 Puget Sound Kiteboarding Association - Pacific Northwest, Seattle, Tacoma, Bellingham and surrounding areas • View topic - tip of the day! Forum dedicated to tips and tricks for new riders and veterans alike. Thought a thread like this would be helpful! Today's tip , good gradients and temps differences could equal northerly winds at jetty, carkeek and possible south sound northerly spots. If we'd see gradients like this in the summer it would be 10m conditions, but with it being October, more likely a 14 m session. For now I'm watch a wind line get closer to jetty! Hope this helps people get a fun session! Last edited by stephensibborn on Fri Oct 10, 2014 8:57 am, edited 2 times in total. Re: tip of the day! Love this positive post. Nice to see someone starting a thread intended to head in a positive direction!!!! Southerlies are on the horizon, hope to see you all out there soon. Well , starting even as soon as Fri / sat the fall storm season is approaching . Looks like next week will be filled with lots of opportunities to get on the water with smaller kites. If you haven't been on a small kite or been a while, keep your hands much closer to the center of the control bar , as the smaller kites are much more reactive and can get away from you very quickly.if you've been mastering new tricks on your summertime light wind kite , be very aware of your bar input , especially things like back rolls , as its very common to inadvertently pull on your back hand an cause a kite loop. Hand placement can greatly reduce unwanted bar input. Be safe and have fun! already looking forward to tomorrow's tip! Thanks guys, I figured with all the newer kiters, some tips would be of good service , especially with our change to fall winter and spring kiting . I'm hoping others will contribute to this too! Maybe something from predicting wind at belfair to riding a foil for the first time? All kinds of possible topics, please feel free to add some experienced wisdom! I'm sure most could be searched on YouTube, but you have to know what to search for! Just some food for thought! stephensibborn wrote: Thanks guys, I figured with all the newer kiters, some tips would be of good service , especially with our change to fall winter and spring kiting . I'm hoping others will contribute to this too! SMS messages to (206) EZ-KITER (395-4837) will be broadcast to the group! I've done some pretty ridiculous stringing together of different services in order to get this working again. It no longer has the old problems that the previous system did. It used to cost a fortune. Now it costs nothing. We used to need a moderator. I wrote a script to auto-moderate the posts. When you sign up, you're on a whitelist. Abuse the system and you get blacklisted. Simple. From the main PSKite page, click on the most recent SMS notifications at the top of the page, then click the link on the next page to set your notification preferences. I can share that I have yet to be skunked when there's any mention of SW in the forecast. stephensibborn wrote: to riding a foil for the first time? Has Urban received it's first foil? Do as you see the boyz from REAL do, find your feet on the foil behind a boat/PWC prior to taking it out a kite. UPWIND LAUNCH OF A SPORT a documentary and my personal favorite stage of the sport. stephensibborn wrote: Maybe something from predicting wind at belfair! ""Evanne's Rule" for Purdy Spit: Purdy usually blows if there is a 2 millibar (.06") or greater westerly gradient between Bremerton and at least two to the following: Forks, Hoquiam, Astoria and Portland. Westerly winds blow in from the coast and accelerate as they make their way around the Olympic Mountains. West winds and southwest "clearing winds" are what you want to make the Purdy Spit work. " Keep going Kip, there's more to it. Chuck and Evanne have 'wind Roolz' that extend all the way up the to the "Port Townsend Triangle". I bet you haven't heard that term in a while! Last edited by j.p. on Tue Oct 07, 2014 7:14 pm, edited 1 time in total. What website do you use to check the pressure differentials and what time frame does it work for? In other words if the differentials are working does that mean its good the kite right now? in a couple? hours all day? IslandKiter wrote: What website do you use to check the pressure differentials and what time frame does it work for? In other words if the differentials are working does that mean its good the kite right now? in a couple? hours all day? A great question, I use Mike Sumpter"S (Bham OG) site. He has, as the sayings goes "done the math" for you.